I’m not of Italian descent but grew up in Connecticut with a large Italian immigrant population. We had access to Italian import grocery stores and family run restaurants were everywhere. I married an Italian American man who loves to cook so my exposure expanded and I began to cook more and more Italian “slow food” at home. When I moved to Texas last year I realized I’d taken access to these foods for granted now that I have a hard time finding high quality ingredients and imported Italian foods. I can't even find decent restaurants that make authentic type Italian food or even a decent pizza. So we're cooking slow food at home now more than ever before. My first impression of this cookbook was one of familiarity, because it is has over two dozen recipes that our family already enjoys eating at home or in favorite Italian restaurants. Now that we have the recipes we can make these at home. The other 150 recipes are new to me and I can’t wait to go through the book and try some. 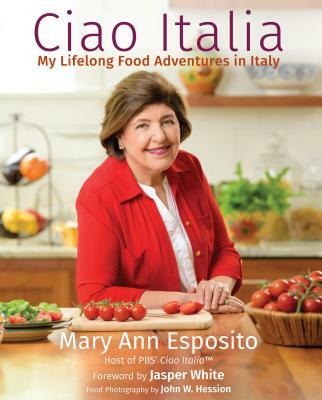 Esposito explains that some recipes are from her grandmothers, some are newer recipes served at gourmet restaurants in Italy and some are her own creations using classic Italian ingredients.